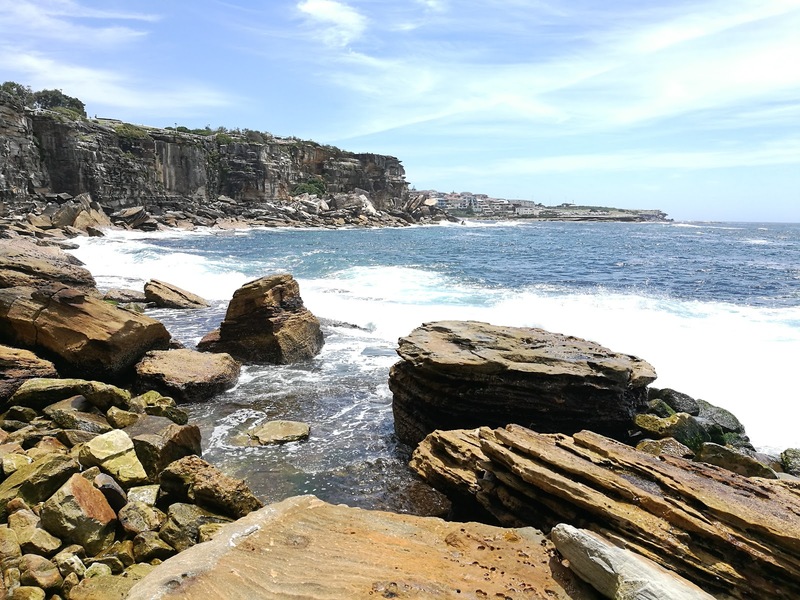 This 6 km walk (or parts of it) makes it onto most travellers' must-see list when visiting Sydney. This is quite evident on a sunny day by the fairly constant stream of people walking in either direction. Rightly so as it has no shortage of stunning scenery accompanying each and every step. 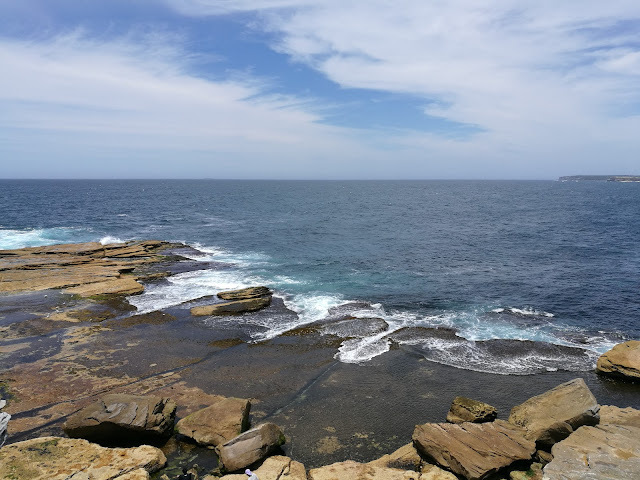 Today was my third or so time on this coastal walk (see Sculptures by the Sea), motivated by a beautiful day, the need for some exercise and the desire to test out my new phone's camera (Huawei P9). I started in Coogee as it was a closer starting point to where I am staying. The walk is beautiful from whichever location you choose to begin. 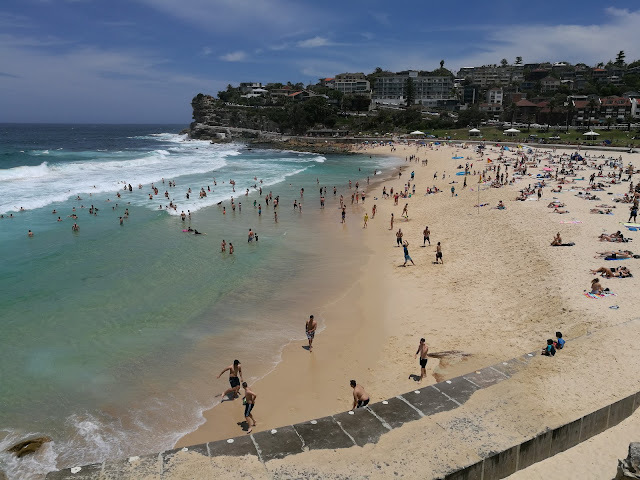 If you've never been to Bondi Beach, I do suggest starting at the Coogee end and finishing in Bondi for a more dramatic first view of Australia's most iconic beach. 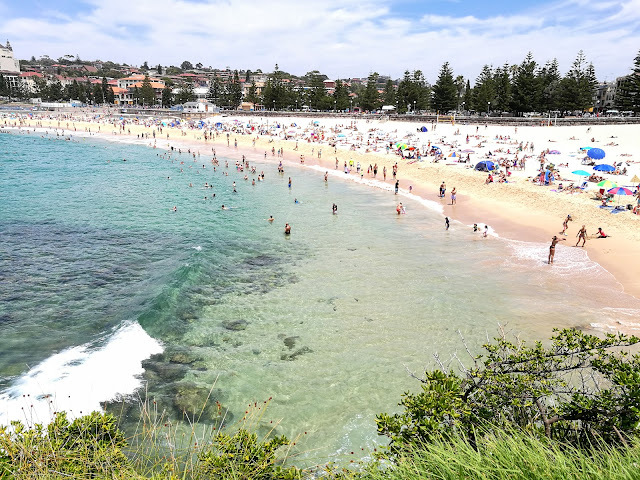 Coogee - let the beach-hopping begin! I could be wrong but I don't know if there's another city in the world similar in size to Sydney that has so many beaches within its city limits. And beautiful beaches too...lucky ducks. Naturally, their accessibility means that everyone flocks to these beaches on so-called 'beach days'. 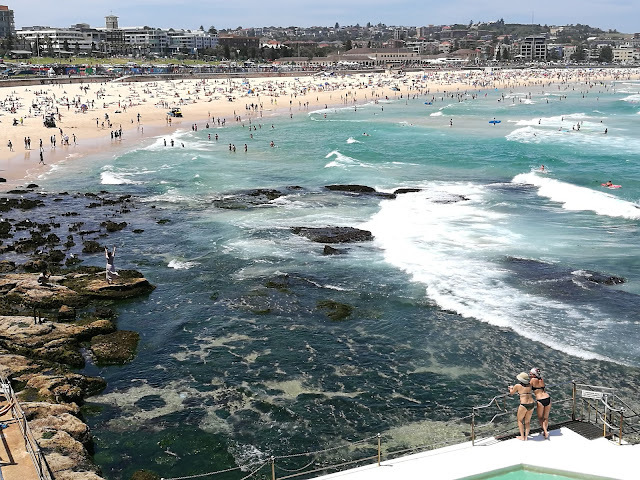 The crowded-ness may not be everyone's cup of tea but it sure allows for some entertaining people-watching and is part of the authentic Sydney experience. 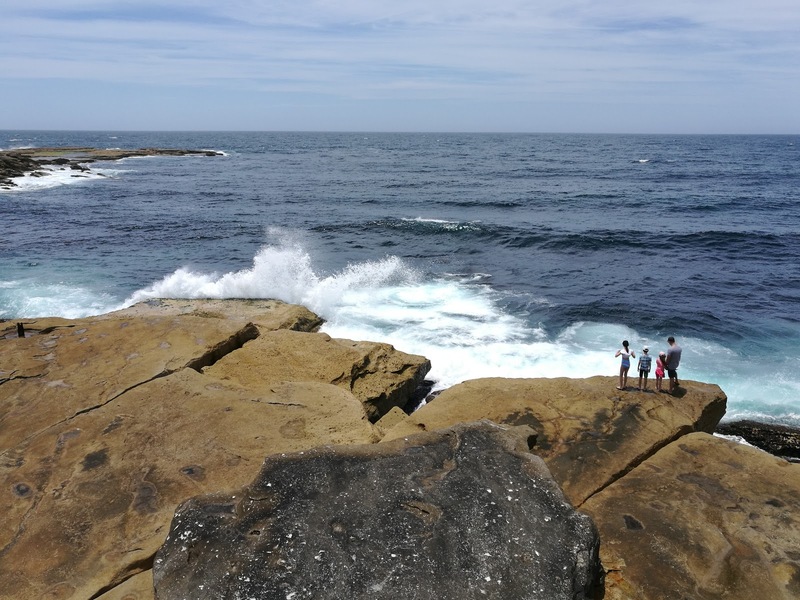 With a little sense of adventure, you can escape to a more secluded sun-bathing spot. A (careful) few hops and skips and ta-daa! And below is evidence of how those rocks got there...and why they warn you to stay away from the edge! There are plenty of great vantage points on this walk. (Just heed the warning signs on the cliffs!) 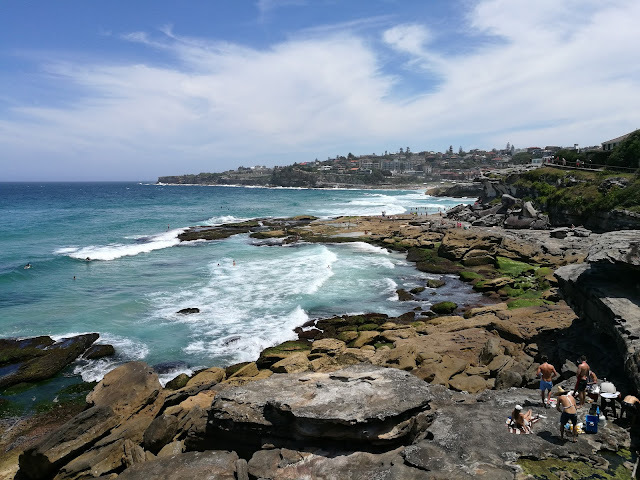 It's well worth taking a moment to admire the view, getting a better sense of the scale of the beaches, the height of the cliffs, the amount of people enjoying the water, and one my favourite things, watching the surfers do their thing. You can also add whale-spotting to the list during migrating season. 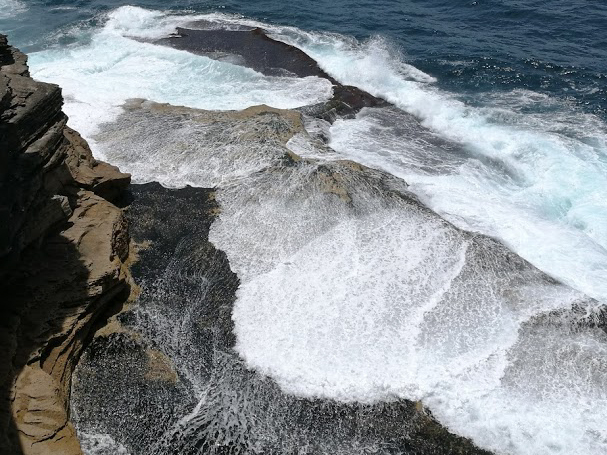 Take in the scenery from above or find your way down and get a truer sense of the ocean's mood. 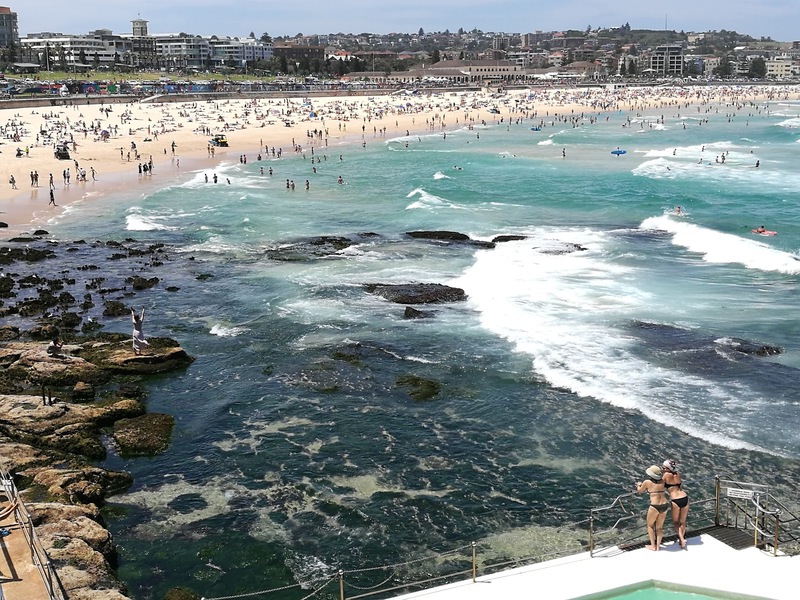 A suitable swimming location is usually not far away, even in spots like the ones captured above. If you don't fancy a swim, you've got a great view for a picnic or a chapter or two. The quintessential Aussie beach BBQ (left corner) with aprons and all! As you can probably guess, this is not a flat walk. However, it's not as hilly as the photos may suggest. 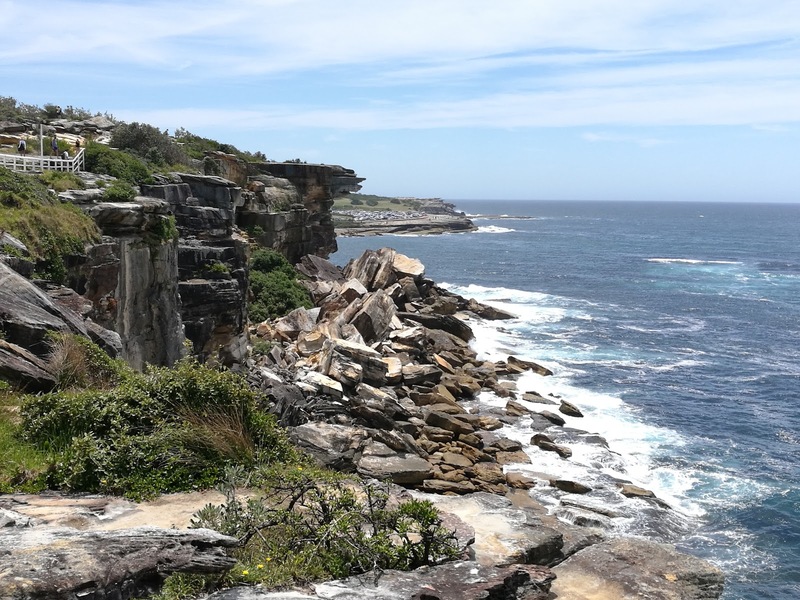 The footpath is concrete with the occasional staircase with plenty of benches, as well as grassy, sandy and rocky areas to take a rest. Many people walk it in their flip-flops (or thongs as they are known here). 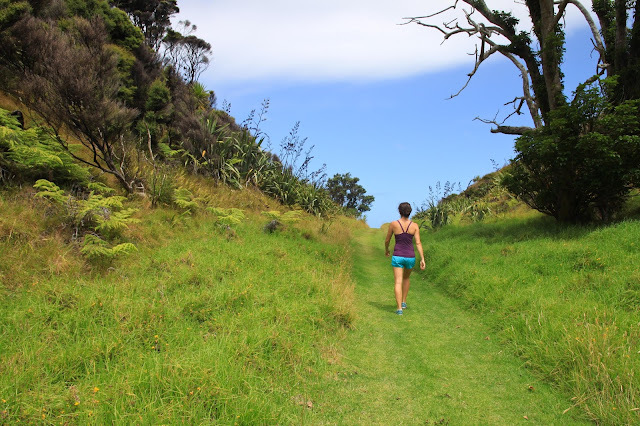 You'll likely come across runners and dog-walkers too. The Sydney sun is known for helping people sweat up a storm, especially in the summer months. But you guessed it - there are plenty of beaches along this walk to wipe that stickiness away. You'll find wide and narrow sandy beaches, rocky beaches perfect for snorkeling (there's even an underwater trail!) as well as a concrete beach for those looking for something a little different. 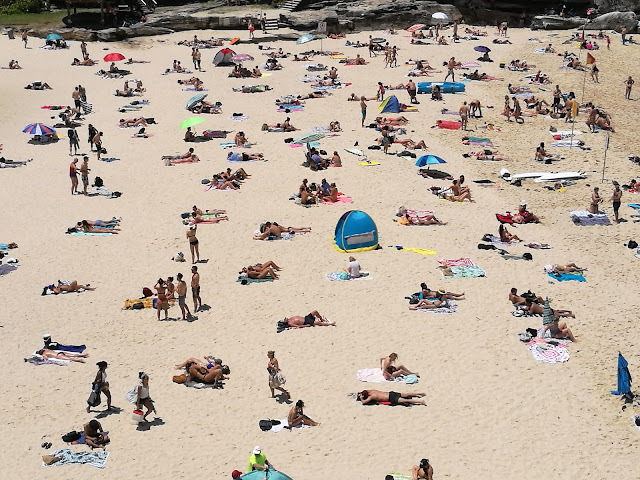 Did I mention that Sydney's beaches are ideal places for people-watching? Not in a creepy kind of way, of course! For even more variety, there are also several ocean pools (another Sydney must-do!) along the walk. 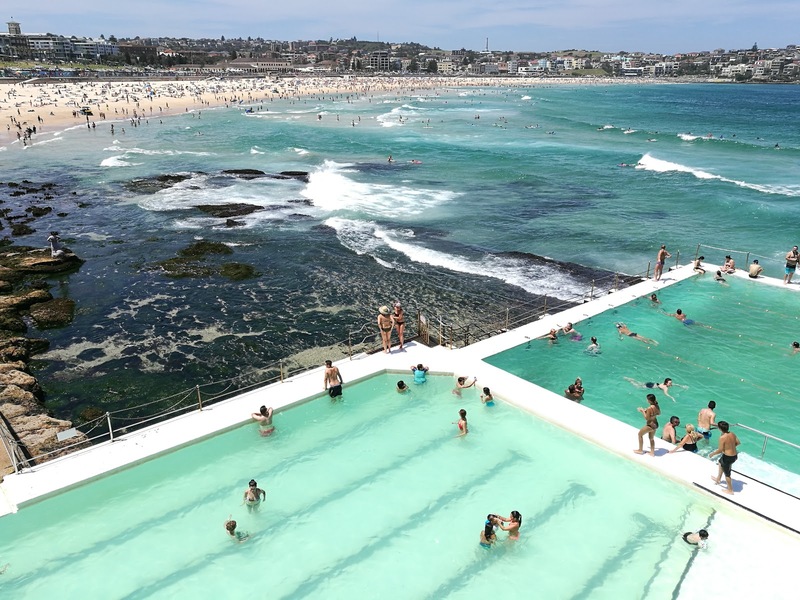 None more famous then the Bondi Icebergs, 'the place to be seen'. Buyer-beware, there is an entry fee but as is expected here in Sydney, the views don't disappoint. Not a fan of crowds myself, it nonetheless won't be the last time I complete this coastal walk. It really is possible to see something different each time. Two thumbs up to the camera on my Huawei P9 for doing a pretty good job capturing the beauty of this location.